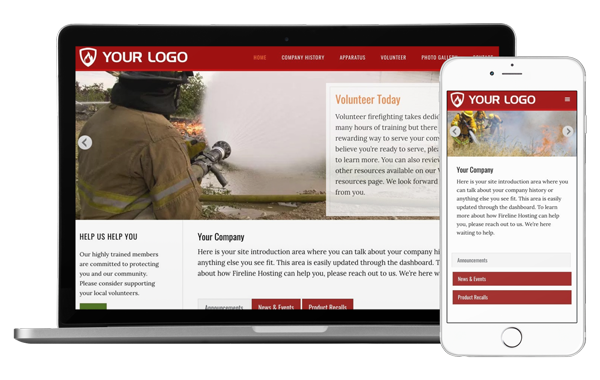 This fire department website template is a simple and engaging design. A large top image is followed by your department's mission and news or announcements section. Let Fireline Hosting customize this template to meet your needs. 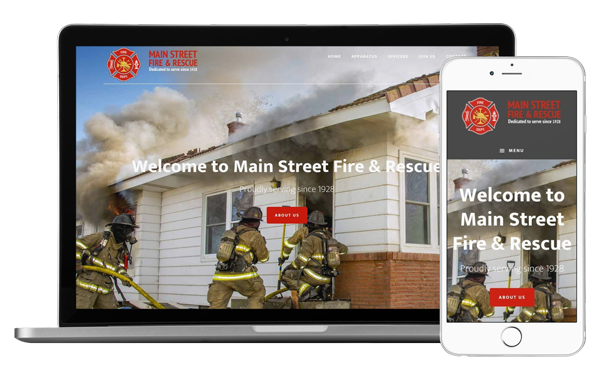 This fire department website design template looks amazing on any size screen and features a large homepage image followed by a department description & announcement section. We'll make it your own by adding your logo, colors and pictures. 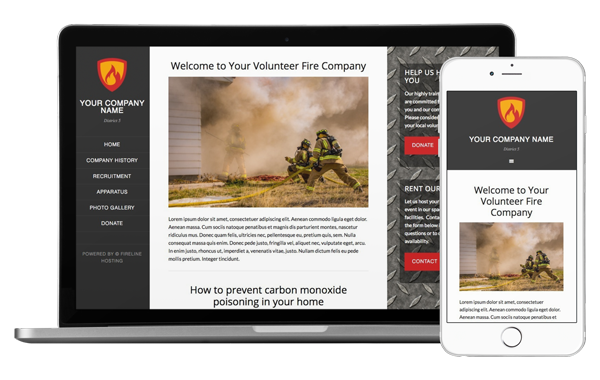 This fire department website design template features a top menu, homepage slider and sidebar. The content area includes an introduction and tabs which can display upcoming events, news or anything else you see fit. 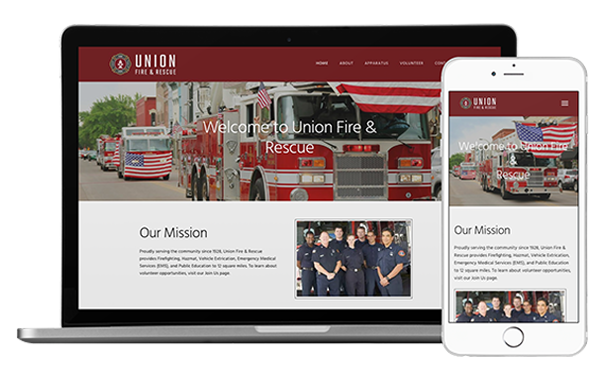 This fire department website template features a 3 column layout, with a left aligned menu, center content area and right aligned sidebar. The content area has a company introduction at the top followed by news and information.